For over 48 years, the F-150 has held steadfast to the title of best-selling pickup truck in Canada, and it isn’t going to stop now. 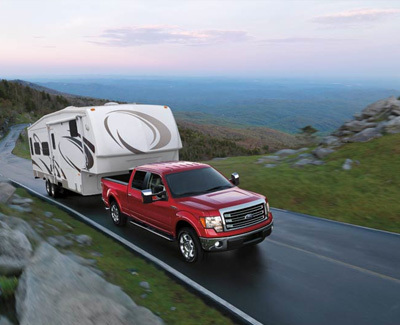 For 2014, the F-150 continues to pull massive numbers out of the EcoBoost engine with towing and performance that rival much larger V8s?all while using less fuel. Of course, that doesn’t mean the F-150’s trusted 5.0L V8 is out of the running when it comes to great economy and capability. Those tracking the latest news on the F-150 will know that a new 2015 F-150 is in the works. This truck will bend minds without bending metal as it introduces a new high-strength steel and aluminum frame that reduces weight for better fuel efficiency without sacrificing structural integrity. If you’re in the market for a hauling truck that won’t break your back when it comes to the price of fuel, then consider the 2014 Ford F-150. As the largest Ford truck dealership in Port Coquitlam, Metro Ford has the best selection of F-150’s you’ll find in Port Moody, Pitt Meadows, Maple Ridge, or Burnaby, British Columbia. With direct injection and a single turbo, the EcoBoost V6 delivers 90% of its torque at a super low 1,700 to 5,000 rpm with virtually no turbo lag. When you consider that the engine produces 420 lb-ft of torque, that’s impressive indeed. The F-150 4×2’s (not available on 4×4) standard 3.7L V6 delivers an excellent fuel economy of 8.7 L/100km on the highway (32 mpg) while delivering a responsive 302 horsepower. 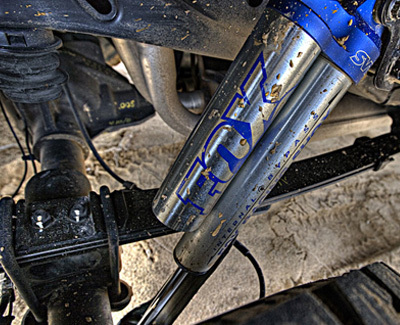 Ti-VCT controls the intake and exhaust camshafts to optimize combustion and increase torque at low speeds so you can get outstanding fuel economy without sacrificing performance. Those looking for the grunt of a big bore V8 aren’t forgotten. The F-150’s available 5.0L V8 delivers 360 horsepower and 380 lb-ft of torque, putting forth the highest horsepower and torque numbers of any V8 engine in its class. 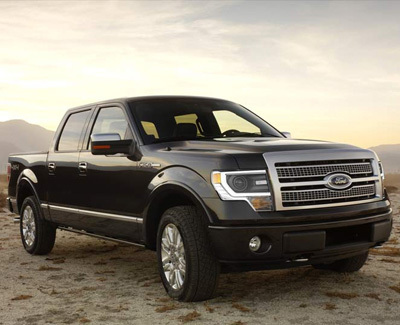 This engine also gives the F-150 the grunt to claim the highest towing and payload capacities in its class. 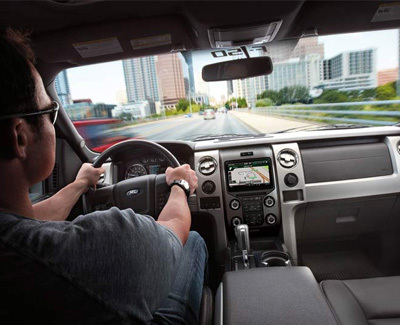 It doesn’t matter if you’re in the most rugged, barren wasteland of a worksite?the Ford F-150 will still keep you comfortable with an interior that is nothing less than outstanding. 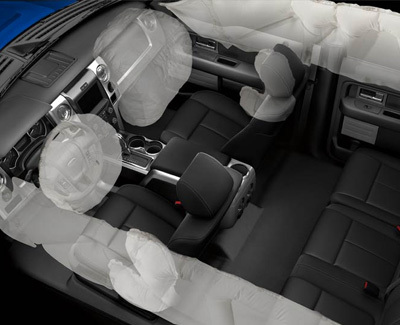 With noise reduction trough sound engineering, the F-150 stays quiet even as you’re rocking through rough gravel roads, while the interior is also made to accommodate all of your work supplies with features like a class-exclusive flat-folding loading floor and in-cab storage options. Intelligent features like class-exclusive box-side and tailgate steps put the F-150 at a level above other trucks in its class. Looking forward to the 2015 F-150, you can expect an exterior with a means-business stance, and an all-new military grade aluminum frame with a high-strength steel backbone for reduced weight. Every F-150 is backed by a full arsenal of safety features, and as a top safety pick by the Insurance Institute for Highway Safety (IIHS), you can bet the F-150 has your back. The F-150 is the only domestic full-size truck to achieve the “good” score in the all-important IIHS roof-strength test that indicates the reliability of a vehicle in a rollover. Your truck already looks good, but don’t stop there. Make your Ford truck look amazing with unique accessories like aftermarket wheels/rims, chrome, brush guards, and more. Metro Ford also has all sorts of auto parts for your F-150, whether you’re looking to take care of some basic maintenance or want to upgrade your performance with a cold air intake. Get started and order your automotive parts online.